Whether you live in an all ages community with kids playing and riding bikes, a senior community with many early-morning walkers, or a gated community with lush landscaping and immaculate homes, clean sidewalks are important. Many people don’t realize the extent to which our sidewalks reflect the overall appearance of our communities or affect the health and welfare of our residents. Cleaning is sometimes put off until a hazardous slip and fall situation exists or merely given to the lowest bidder. Mold and mildew pose significant health risks. To reduce these risks and eliminate the unsightliness, regular cleaning is necessary. 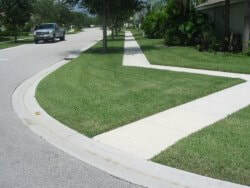 ​MAXIMUM IMPACT wants to give your community the cleanest, brightest sidewalks, and guarantee them against re-growth. 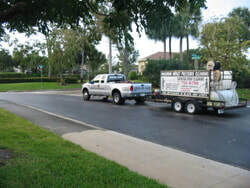 Pressure cleaning is a good start to remove a large portion of the dirt and mildew accumulations as well as gum deposits and other nasty stuff. Without a mildicide treatment however, the benefits will be diminished as well as brief. Within weeks you may notice stripes and swirls beginning to appear, especially when the surfaces are wet. Mildew does not get deposited in stripes or swirls, this is leftover mildew that has begun to regrow. Our guarantee is simple “no stripes or swirls for 12 months.” If they haven’t shown up by then they are not going to. MAXIMUM IMPACT doesn’t offer different “levels” of cleaning, as far as we’re concerned it’s either clean or dirty. It seems silly to pay to get something almost clean and it costs more in the end. The mildew will grow right back and your next cleaning will be prompted by necessity rather than aesthetics. 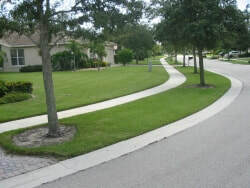 We feel that your sidewalks should be clean year-round, not just for the first few months. 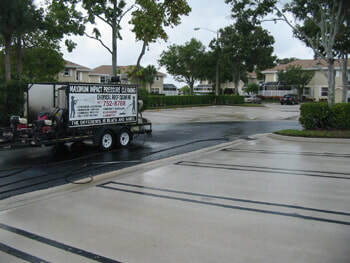 ​MAXIMUM IMPACT excels at one-time cleanings as well as yearly and bi-yearly maintenance programs, and our pricing is based on an evaluation of what will be required for each specific community as well as the frequency. Large-scale cleaning projects require larger outlays for equipment which excludes many smaller companies. The remaining players are often widely scattered in terms of price and quality which don’t always coincide. 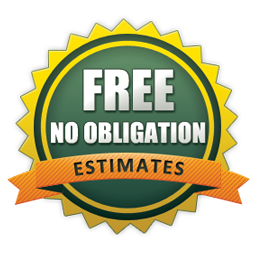 We provide outstanding service, a written one-year guarantee, and a very competitive pricing strategy. If you’re tired of dirty, mildewed, unhealthy sidewalks we will get them clean and keep them clean.